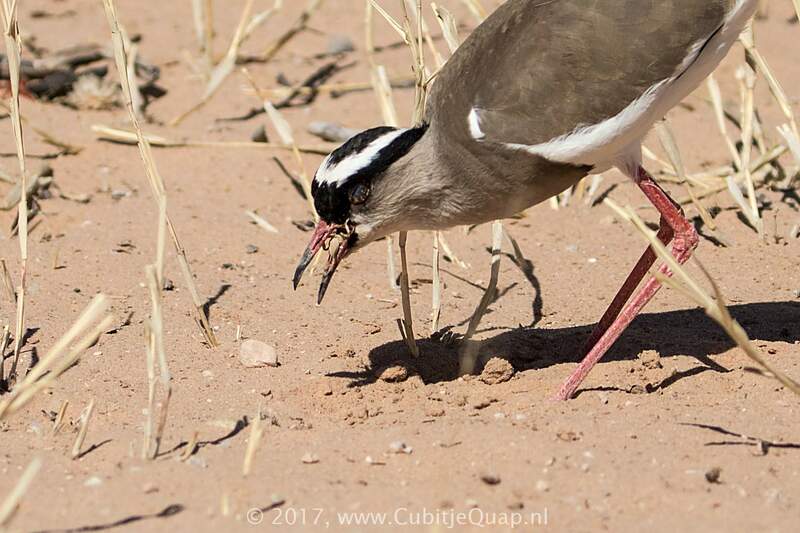 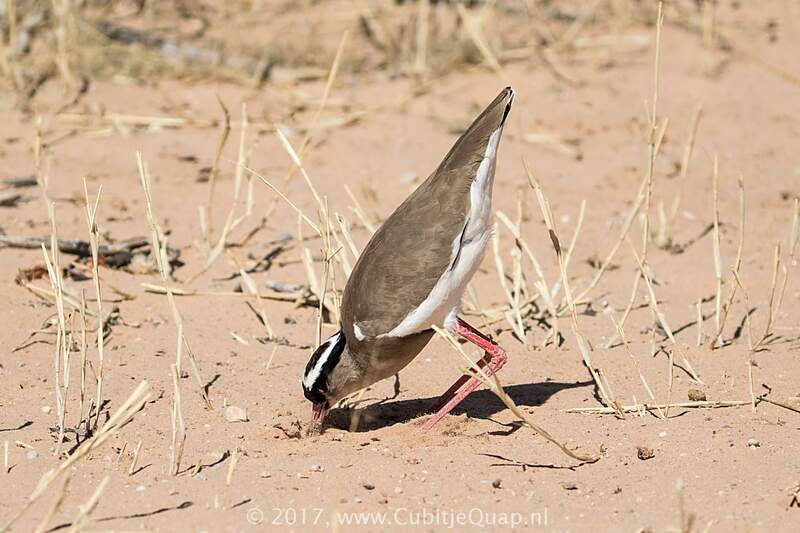 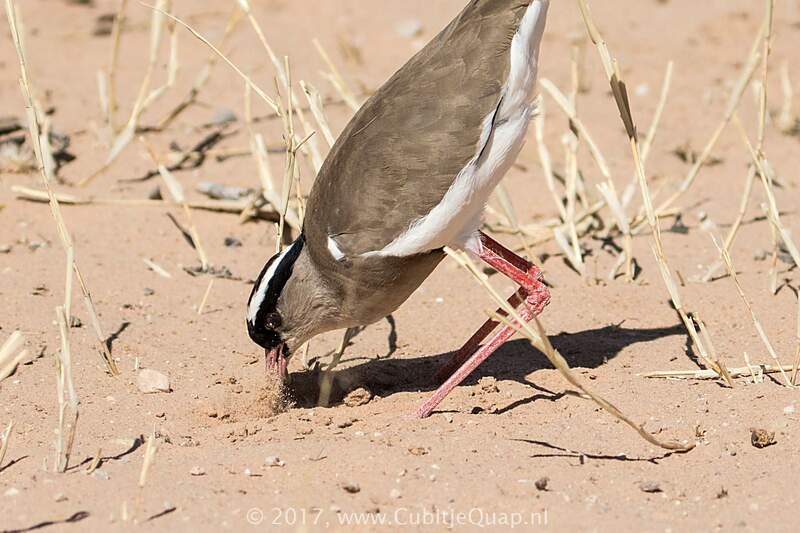 The crowned lapwing generally eats termites and a variety of insects. 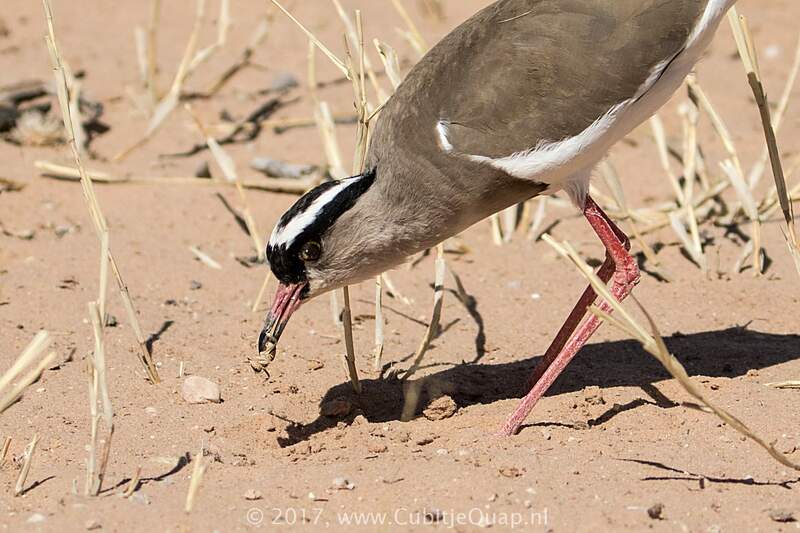 It forages visually, using typical plover run-stop-search technique, running forward when prey detected. 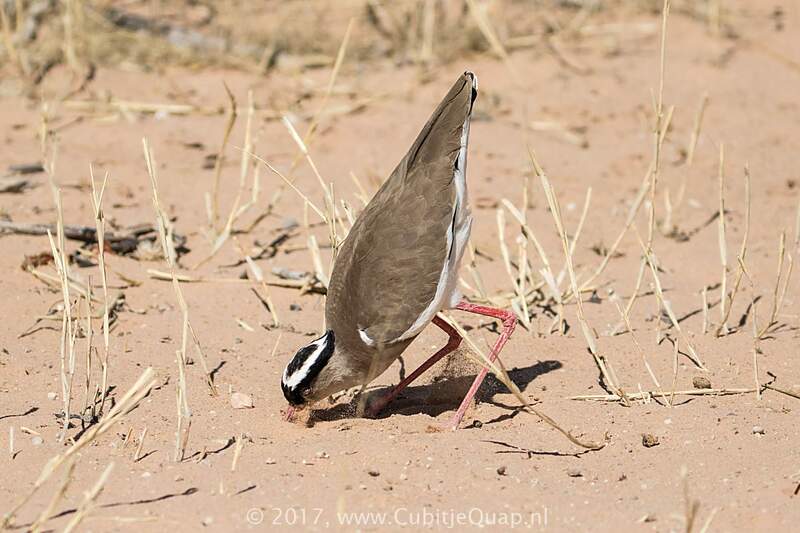 It sometimes stands with 1 leg off ground, then strikes prey with 3-4 rapid jabs.